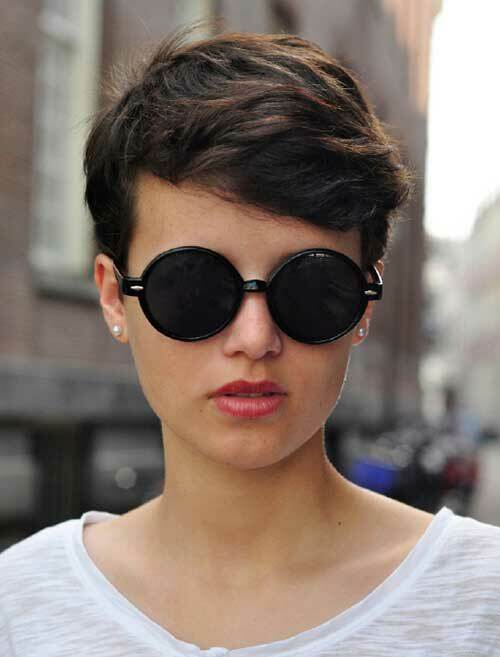 Layered pixie styles are perfect for ladies with fine and straight hair, highlights gives a nice texture too. 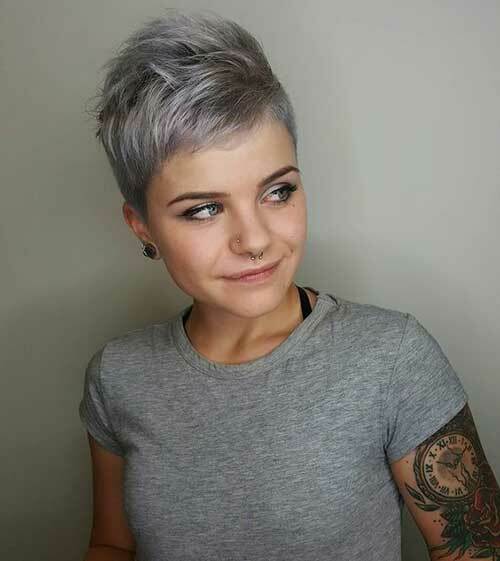 With messy pixie styles with layering and bangs can be created an unique style for any woman. 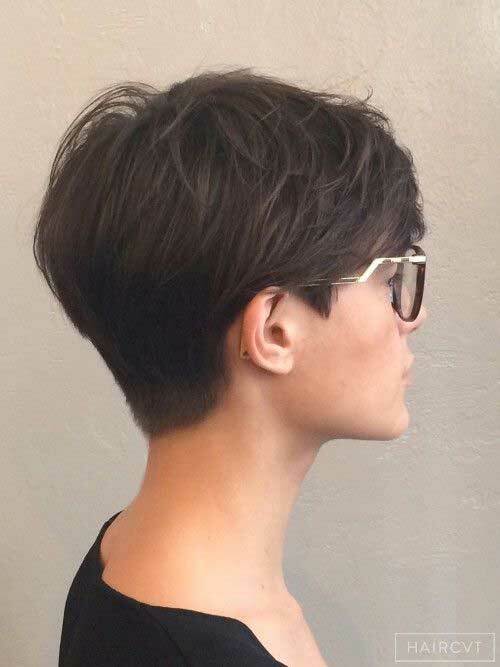 Undercut style is one of the most popular haircuts of recent years and this long pixie look definitely cool yet adorable. 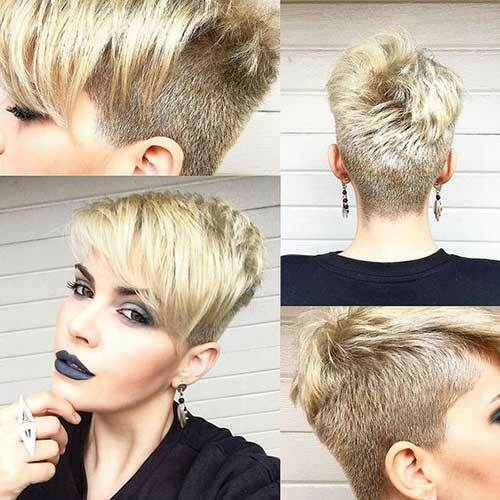 Tapered and spiked pixie styles with shorter sides are perfect for girls who like masculine street styles. 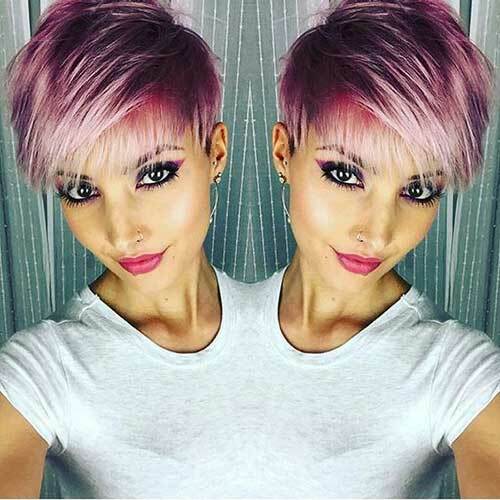 Pink-purple colored hair is always a good idea for an eye-catching looks and this longer pixie is definitely adorable. 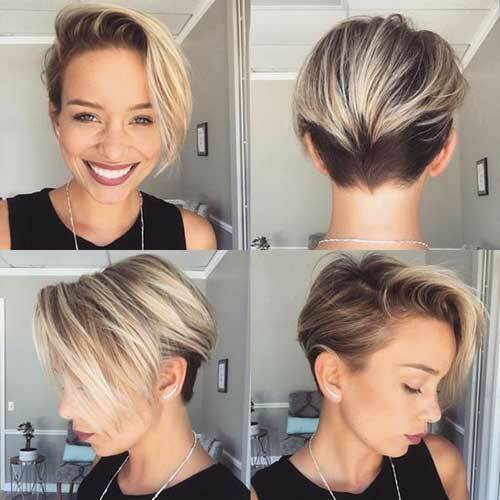 Pixie bob is one of the most preferred short hairstyles that they look like both pixie and bob hairstyle. 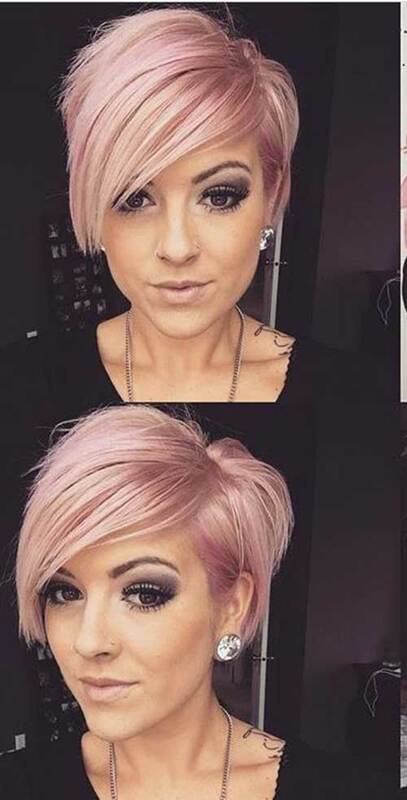 Pastel pink hair color and asymmetrical haircut make this long pixie hairstyle much more stylish and chic. 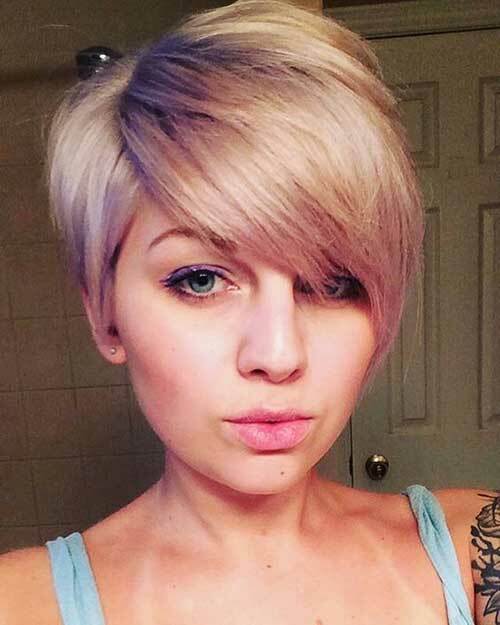 Highlights are best way to give some shine or color to your without giving any damage or too much color. 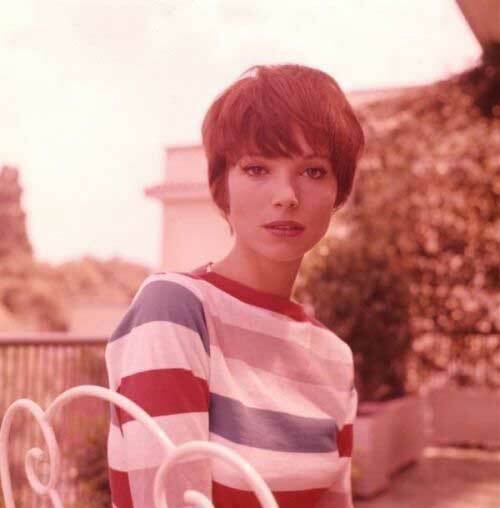 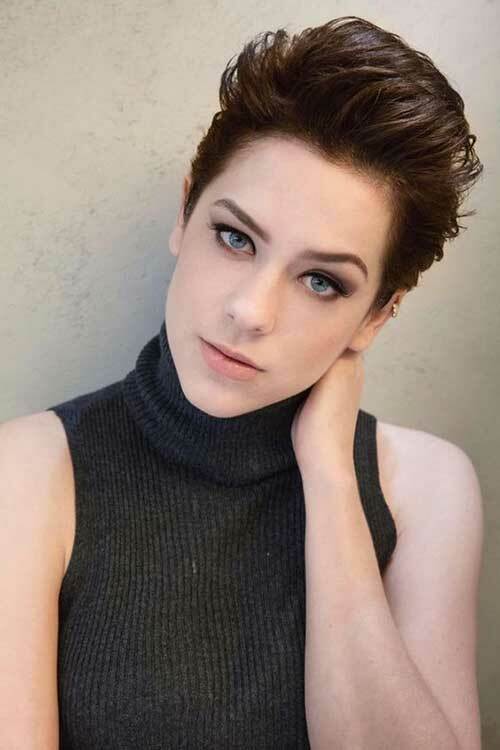 If you have brunette hair color and is really great to have a pixie style that flatter your face and style. 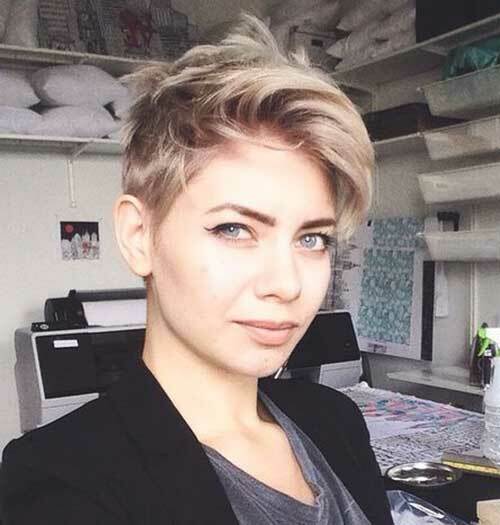 Ombre coloring makes this blonde pixie style much more interesting and chic, bangs creates a nice style too. 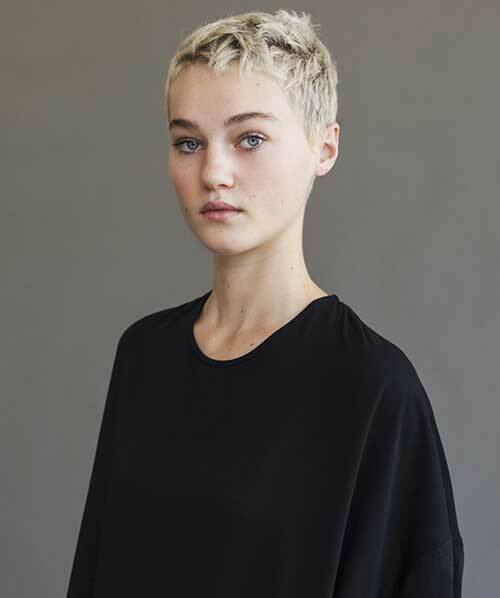 Long bangs definitely work great on pixie styles, it nicely frames her face and eyes. 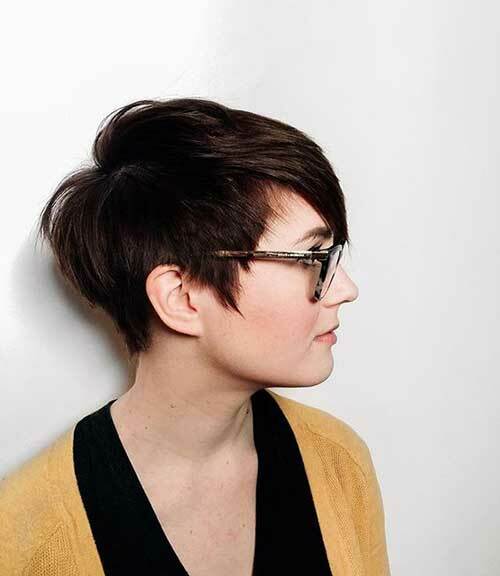 This tapered dark pixie cut is nicely layered and her har looks textured and modern at the same time. 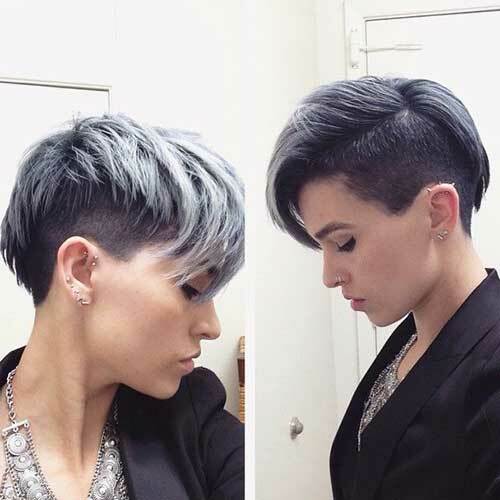 Undercut and shaved sides are really popular among girls with short hair and when you add gray hair color to this look there is no reason to look perfect. 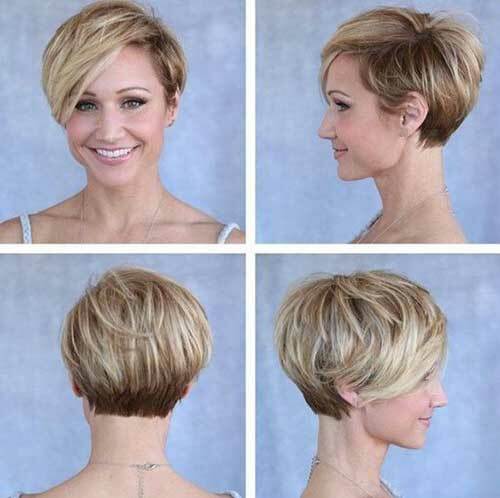 Upright hairstyles are perfect for every occasions if you have pixie hair with shorter sides and long hair on top. 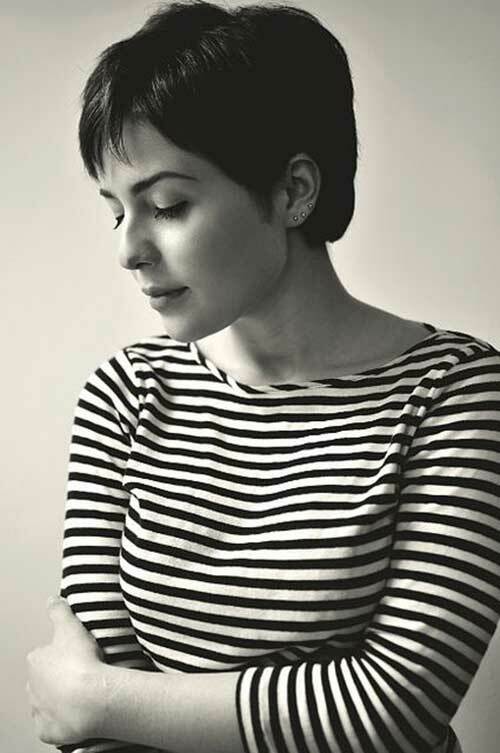 At the end of this beautiful gallery we want to show you really elegant and textured pixie haircut of Krissa Fowles. 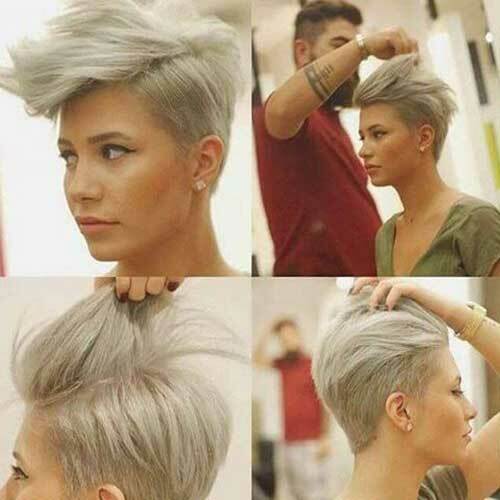 Did you like our gallery? 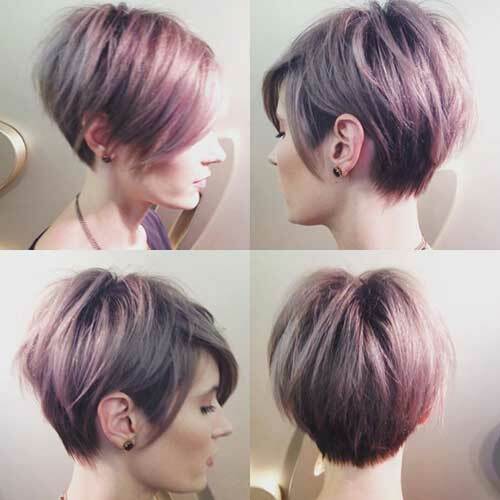 Let us know which one is your favorite style and stay tuned!